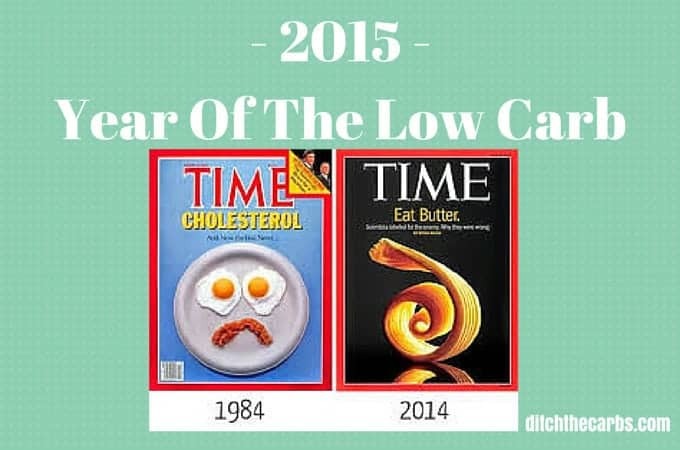 2014 was indeed an interesting year for the low carb vs low fat argument. It has also been interesting to watch the debate between promoting processed food and unprocessed food. 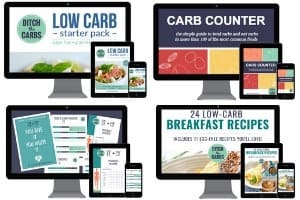 Blogs such as mine, low carb, paleo blogs, whole food, clean eating, whole 30, Banting and sugar free websites have all been slammed by nutritionists and dieticians. If you delve deeper, the majority of articles have been sponsored by food companies. Even registered dieticians are seriously questioning the ethics behind their professional body being paid by Nestle, Arbutus, Campbells, Unloved, Grains Council. Is this really going to lead to an unbiased article or nutrition advice given by their body? Even on their own website they encourage corporate partnerships as it “will give manufacturers unparalleled opportunity to inform the public”. It seems to me that those of us trying to encourage the consumption of whole, unprocessed food have very little to gain. I am not sponsored, there are very few brands that I recommend because most of what we eat is simply fresh meat, fish, vegetables and healthy fats. What none of us can fathom, is why it is even seen as controversial in the first place? I mean, why wouldn’t dieticians want us to eat real food? Yeah, yeah, yeah they keep on dragging out the old argument that by eating real food is restrictive – well only because there are thousands of products, and thousands more than last year, and by next year there will be even thousands more. Think about it, even 5 or 10 years ago the supermarket shelves didn’t have these ‘products’. They also argue that we gave up entire food groups, well sugar and grains aren’t exactly food groups. 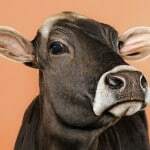 Vegetarians give up entire food groups, I have nothing against vegetarians, but they aren’t discredited for giving up food groups. We eat an incredibly balanced diet. Far more vegetables than we ever ate, no processed foods, no chemicals, no additives, no colourings or preservatives. So where is the harm – unless it is the fact that bread, cereal and soda sales are at their lowest year on year. And that is it in a nutshell. Companies are fighting back. I get that. But forward thinking companies will be looking to the future, which is health, sustainability, and ethics. That is where the profits lie. Health is the new wealth. Here in New Zealand we have a team of internationally renowned dieticians/nutritionists and Professor of Public Health who are recognised as world leaders in LCHF. They have written a 55 page document supporting “reference based documentation on low carb high fat diets”. It was written in response to the Dieticians NZ position statement on LCHF where they continue to argue there is no evidence that LCHf is beneficial for sustained weight loss, we should continue to consume whole grains, low fat products, and cereals. This is a thorough and full response which is certainly one to share amongst those still not convinced by the latest research. 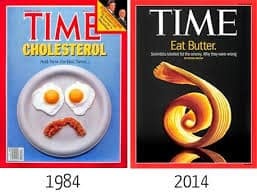 In absolute contrast to their publication back in 1984 where cholesterol was to be feared and removed from the diet at all costs, we must end the war on fat. Back in the 80’s, eggs and bacon were off the menu and the rise of the low fat ‘product’ began. Ancel Keys who started the low fat guidelines after his study on 22 countries, was based on bad science and even more dubious conclusions. He conveniently removed all but 7 countries which didn’t fit into his hypothesis. The biggest health experiment on the population has been one tremendous failure. We are seeing the highest rates of diabetes, heart disease, obesity and cancer. The current food pyramid guidelines, which we have all been following, were never researched properly and Ancel Keys “didn’t have the time for the research” before releasing the food pyramid. Yet another nail in the low fat coffin. Saturated fat does not cause heart disease. There has never actually been any evidence to show the link between saturate fat and heart disease. “nutrition policy has been derailed over the past half-century by a mixture of personal ambition, bad science, politics and bias”. This article spells how Keys based his work on serious methodological problems. he chose the countries he thought would fit his hypothesis, he ignored that data from countries that did not fit, did not account for smoking, did not control what the participants. But it was too late, too much research money had already been spent. His bias was so strong, it almost became common sense. Dietary restriction of carbohydrate as the first approach in diabetes management: Critical review and evidence based- Nutrition Journal. This scientific review by international researchers present the evidence for low-carbohydrate diets as first approach for diabetes. Take a look at the review on diabetes.co.uk The researchers are now calling on government and health agencies to hold hearings on their findings and reassess their guidelines. Low-carbohydrate diets have continued to demonstrate effectiveness with little risk and good compliance. At the same time, the general failure of the low-fat approach, coupled with continuing reports of side effects of different drugs, indicates a need for reevaluation of the role for reduction in carbohydrate. Results include reduction of high blood glucose, the most salient feature of diabetes. Nothing is better for weight reduction. Carbohydrate-restricted diets reduce or eliminate need for medication. There are no side effects comparable with those seen in intensive pharmacologic treatment. Triglycerides are controlled by carb intake not fat intake. Lowering carbs is the best way to lower triglycerides and raise HDL. The wrong white crystals: Sugar not Salt causing hypertension and cardiometabolic disease – Openheart.BMJ. – Cardiovascular disease is the leading cause of death in the developed world and the biggest risk factor is hypertension. For too long reduction of salt has been the focus. The predominant sources of salt in the diet is processed food, which are also generally high in added sugars. Sucrose affects your sympathetic nervous system (SNS), increased heart rate, increased blood pressure, renal sodium retention, as well as insulin resistance, inflammation and other metabolic dysfunctions. High sugar diets contribute substantially to cardiometabolic disease. Drinking just 1 24 ounce soft drink raise blood pressure on average by 15/9 mm Hg and a heart rate of 9 bpm. Please take the time to look at my other low carb books I recommend. They offer a great insight into how beneficial going low carb and sugar free is to your health. 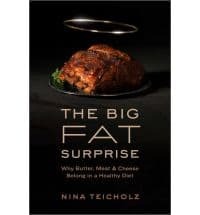 Big Fat Surprise – Investigative journalist Nina Teicholz documents how the low fat approach and dietary advice we have been given for the past sixty years has amounted to a vast uncontrolled experiment on the entire population, with disastrous consequences for our health. We have been told to cut down on our fat, especially saturated fat, but we are not getting thinner because we are not trying hard enough. What if the foods we were denying ourselves were the problem? By eating good fats again may be the key to reversing the epidemics of obesity, diabetes and heart disease. This book was the culmination of years of research, interviews and investigation. How the olive oil industry sprung from the fear of the Mediterranean culture losing their way and olive groves being cut down. How the soy industry ran a smear campaign on the coconut oil industry. How the wheat industry lobbies to get a larger part of the food pyramid. A mind blowing, eye opener. 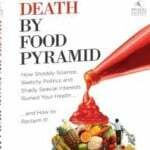 Death By Food pyramid – How shoddy science, sketchy politics and shady special interests ruined your health. How the food pyramid we use today was formed by bad science, wheat lobbyists and food stamps! Yes how to feed the US cheaply and scientists egos are to blame. So are the USDA, Department of Agriculture and Government funding. Take a look at Denise Mingers blog. rawfoodSOS. She is the most meticulous health writer and lecturer, critiquing amongst other things, the China Study. the current guidelines were heavily based on wheat and grains once the wheat lobbyists got hold of them, and because it was an easy, cheap way to feed the nation on food stamps. Take look at my Top 10 videos, but please make time to watch these. 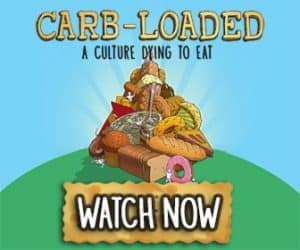 Carb Loaded – A documentary film examining the reasons behind the enormous spike in diabetes and obesity over the last three decades. A Culture Dying to Eat is a chronicle of the things it’s writer and director Lathe Poland learned after he was diagnosed with Type 2 diabetes. That Sugar Film – to be released in 2015. THAT SUGAR FILM is one man’s journey to discover the bitter truth about sugar. Damon Gameau embarks on a unique experiment to document the effects of a high sugar diet on a healthy body, consuming only foods that are commonly perceived as ‘healthy’. Through this entertaining and informative journey, Damon highlights some of the issues that plague the sugar industry, and where sugar lurks on supermarket shelves. THAT SUGAR FILM will forever change the way you think about ‘healthy’ food. Also take a look at Food Inc and Fat Head. More thought provoking movie/documentaries. livelihood of the American farmer, the safety of workers and our own environment. Food, Inc. reveals surprising and often shocking truths about what we eat, how it’s produced and who we have become as a nation. Comedian and former health writer Tom Naughton replies to the Super Size Me crowd by losing weight on a fat-laden fast-food diet including plenty of double quarter-pounders and fried chicken while demonstrating that nearly everything we’ve been told about obesity and healthy eating is wrong. Fat Head features humorous animations as well as informative interviews with doctors, nutritionists, and political scientists. WHO – now recommends we cut our sugar in half. By reducing our sugar intake will help in maintaining energy balance, maintain a healthy weight and ensures optimal nutrient intake as so many sugar rich foods are devoid of nutrients. Swedens Guidelines – A systematic review of 2 years on dietary advice, literature and actual food intake in people with obesity. Brazil Guidelines – The premise of their guidelines are simple. Eat real food, prepare it yourself, eat with the company of family and friends and be suspicious of commercial advertisements of food products. Lipitor – Pfizer are fighting a surging wave of lawsuits over Lipitor and their knowledge that it causes diabetse and memory loss. It is alleged that they have played down the side effects, undereported their findings. Pfizer alone, have made more than $130 billion in sales globally. 29 million patients in the US have been prescribed Lipitor to reduce their cholesterol. The big question is the risk/beneift of taking Lipitor. There are so many, but take a look at my You Tube channel. I add more to my low carb playlist as I find them. So many in the medical profession are changing their entire way of thinking and encouraging us to do so also. Healthy eating: an NHS priority A sure way to improve health outcomes for NHS staff and the public. – Postgrad Med J 2014. It is time to revisit current dietary recommendations for saturated fat. – Applied Physiology, Nutrition, and Metabolism. Just see what people are saying about how ditching the carbs has transformed their lives. Not only do you lose weight, improve concentration, improve skin quality, reduce the need for medication, you also prevent the big 4 – heart disease, T2 diabetes, alzheimers and cancer. So what does 2015 hold? More controversy. More attitudes are changing. More people are adopting the real food, whole food, unprocessed food approach. It really is simple. Fresh meat, fish, vegetables and healthy fats cooked by you. Make 2015 the best year yet. Try even for a month to start to give up the sugar, grains and carbs. Please leave a comment below on anything I have missed. I am sure there are some obvious ones I have overlooked. Hi Libby. I noticed you do not mention sweetcorn, although not looked at all recepies. Is this no good for you? Any there any other veg to avoid? Thanks Bob for pointing the missing link out to me. It has magically been removed from the dieticians website. I will email them and see if I can find out why. I’d be interested in a copy too. I heard It mentioned on an interview by either Schofield, Fettke, or Zinn. Maybe you could get a copy from one of them. I have asked why it has been removed, I will ask again. And yes, Rory Robertson is fab on twitter. Fabulous thank you for the link that works. Now that it is on their website it can’t be taken down again. A thoroughly enjoyable read Libby and I couldn’t agree with you more. We bloggers are promoting healthy, back to basics consumption of what nature gave us. The big food companies see us as threats and will not stop at anything to counteract what we are trying to promote.